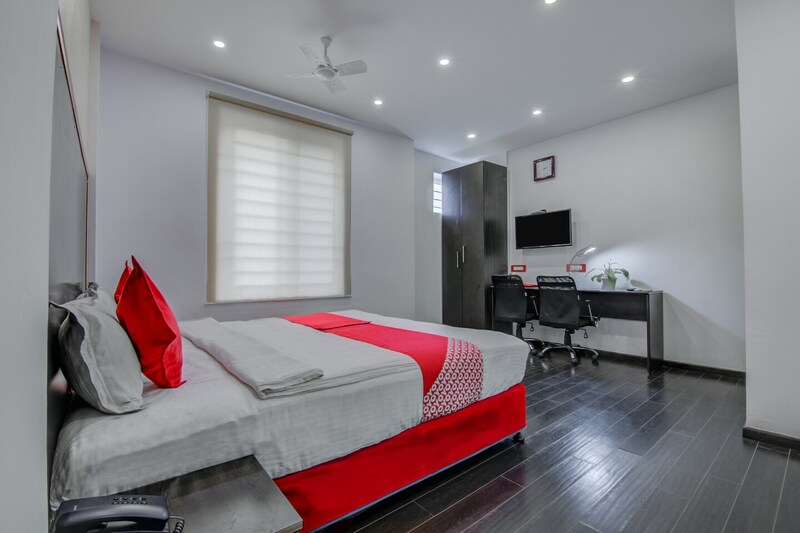 Hotel M Plaza is quite popular among travelers visiting Bengaluru and looking for comfortable accommodation options within a pocket-friendly price range. The rooms are well-furnished and the most notable piece of furniture added in each room is the long wooden table with two wooden chairs. Wisely positioned artificial lights make the rooms well-lit. The rooms have been painted and decorated in warm hues. The extra facilities provided by the hotel are free Wifi, an elevator facility, card payment in all forms, laundry provisions, CCTV cameras, parking provisions, and an uninterrupted power backup source. The in-house includes a gym which can be used by the guests to relax and get ripped after a long day at work.